I always say it, but I'm going to say it again. 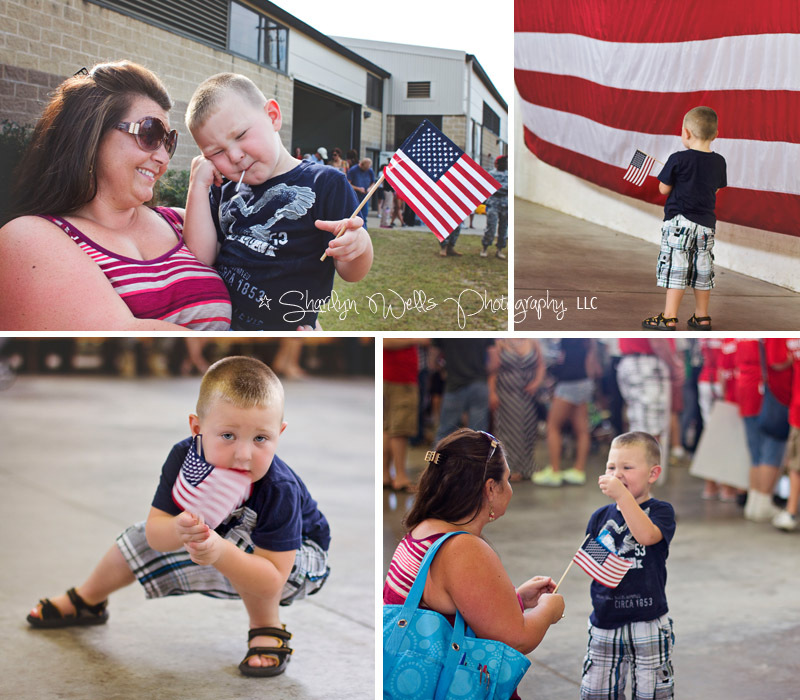 Homecomings are my favorite to photograph! I just love the fast pace of the event, the emotions tied into it, and my clients - they are just so happy to have this special day photographed for them. It's perfect. This family came to me last minute. I had already cut off how many homecomings I was going to do for the month of September, and I was going to have to, unfortunately, decline the session — especially when she told me the date was the same as another clients date. 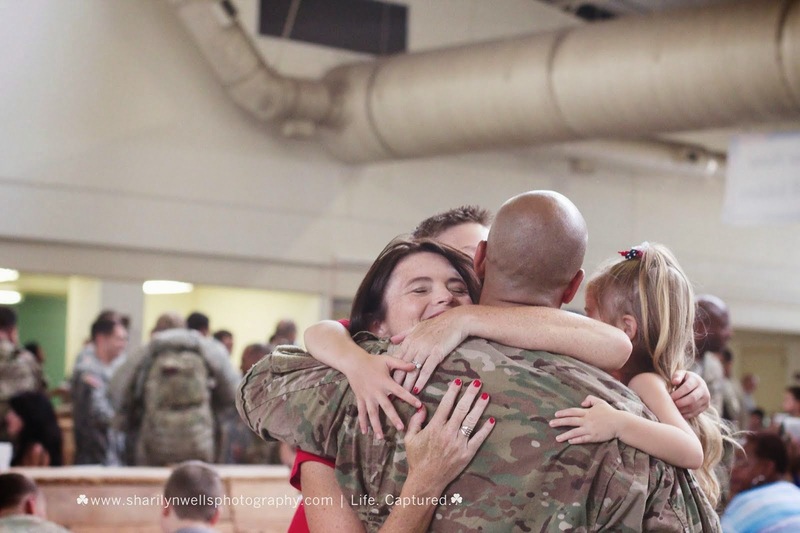 But, as luck would have it ... there was going to be two sets of soldiers coming home that day. One in the afternoon and one in the wee hours of the night. And because I hate to say no to homecomings, I took on her homecoming and was so happy I did. He lil' boy is ALL boy. He reminded me of my son ... bored out of his mind waiting for daddy. Oh! And his facial expressions, loved it. He was so happy when daddy found him and mommy, he just stared at daddy. It was adorable! 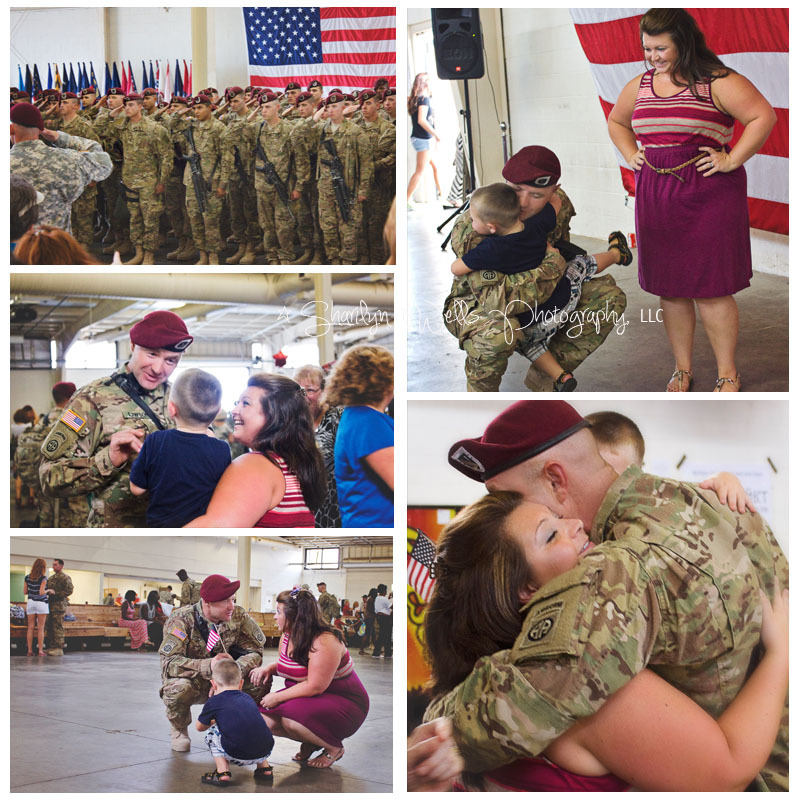 To learn more about Operation: Love Reunited, visit their web site! I only take a certain amount of FREE OpLove homecomings a month. I do offer homecomings at a nominal fee after I hit my mark for OpLove. 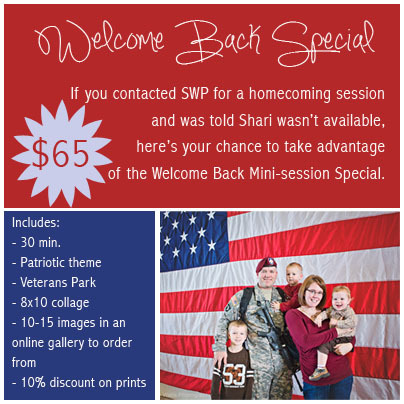 If you weren't able to book an OpLove photographer for a homecoming, Sharilyn Wells Photography, LLC is offering a Welcome Home Special. Please feel free to email me for more information!